Rizk Casino offers a player experience like no others! 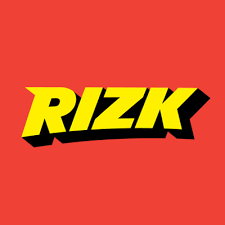 If you’re a game lover and who seek entertainment Rizk is definitely for you. 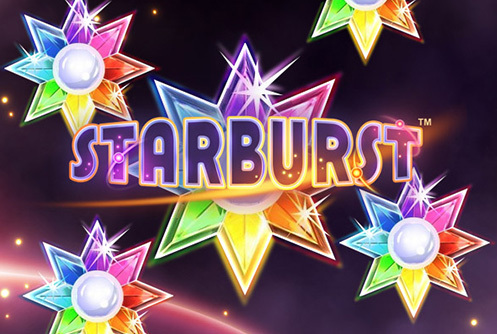 This online casino was launched just over a year ago and offers a gamified experience like no others. 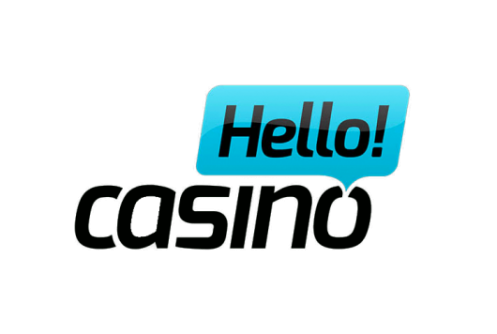 This operator truly took the online casino industry by storm when the website was launched at the end of December 2015. Its success completely stunned its creators, The Gaming Innovation Group as the new brand surpassed in revenue and in numbers of signup the 2 other brands they owned Guts and BetSpin just a few month after being launched. Since the Casino was launched this operator managed to receive 4 nominations at the prestigious EGR Nordic awards which were: casino operator of the year, in-house innovation, Nordics operator and socially responsible operator. This a quite an achievement considering it is such a new brand! Who can signup to Rizk? Pretty much anyone who has a valid email address and a valid mobile number. The signup process is smooth and only had 3 very short steps. At the end of the signup, you’ll be asked to validate your account either via SMS or via Email, so you should make sure to carefully enter your credential in the signup form. Rizk casino does observe rigidly the gaming legislation of the following countries United States of America, France, Belgium, Cyprus, Spain, Italy, South Africa, Denmark, Romania, Estonia, Singapore, Bulgaria, Israel, Philippines, Turkey, Portugal, Hong Kong, Afghanistan, Hungary, Ethiopia, Iran, Iraq, Jordan, Kuwait, Pakistan, Syria and Yemen or other restricted jurisdictions as communicated by rizk.com. Players from these jurisdictions will only be able to access the fun/demo mode of certain games and may not play for real money or signup due to the online gaming ban enforced in those markets. Rizk game portfolio keeps on growing. New game providers are added to the website practically every quarter for the delight of all players. At the moment players can enjoy games from Betsoft, Edict, Evolution, Genii, Green Tube, IGT, Microgaming, Netent, NYX, PlayNgo, Quickspin, Quickfire, and Scientific games. 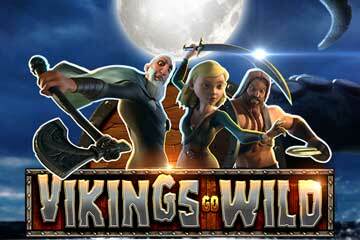 The latest game provider Rizk integrated to their casino is Yggdrasil Gaming. This was done in early December following the signature of an agreement between the platform provider Giant Gaming Innovation Group (GIG) and the independent game studio. Live casino table games players who enjoy Baccarat, Roulette and Blackjack can also play any of the casino classics via NetEnt Live Network. Captain risk is sure making a lot of new friends with its 200% bonus up to £100. Players who wish to maximise this bonus should deposit £50 and will receive £150 to play with. The wagering requirements of the bonus are some of the best we’ve seen in the online gaming industry and really in favours the players at x45 the bonus amount. Players will have 30 days to meet the turnover requirements. It’s important to know that British players who deposit using Skrill and Neteller will not able to claim the bonus. But on the positive note, there’s no cap on the maximum amount you can win. But that’s not all, when you claim a bonus at Risk Casino you’ll also get a free spin on Captain Wheel of Rizk where you can win bonuses and free spins too. 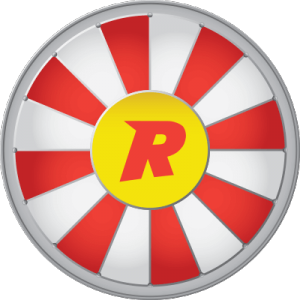 As progress and level up in your casino adventure, you’ll be able to get more spins on the wheel. A great thing is that when you’re given free spins at this casino they’re always wage free. Which means that if you win big with your free round do you not have to meet a turnover requirement and can withdraw immediately to spoil yourself or a loved one. Whilst paying with a bonus, players should pay attention the maximum bet allowed. The maximum bet players can place when a bonus is being wagered is €5 (50kr, 50SEK, $5, £5). This includes double up wagers after the game round has been completed. Most games will contribute towards 100% of the wagering requirements of a bonus but with the exception of Bloodsuckers, 1429 Uncharted Seas, Jackpot Jester 6000, and Jackpot Jester Wild Nudge. This is really fair for casino players as other online casinos choose to completely exclude these low volatility slot games from the wagering requirements. Players from the following countries will not be permitted to claim the welcome offer Poland, Bulgaria, Greece, Hungary, Romania, Croatia, Ukraine, India, Pakistan, Indonesia, Russia, Czech Republic, Portugal, Slovakia, Latvia and Thailand. This is because it has been noted by the operator that syndicates are in operation in the following territories. Sadly players from the countries are considered to be high-risk players because they often miss read the terms and conditions of the bonus and sometimes breach them. 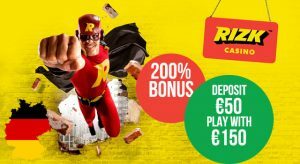 What payment options does Rizk Casino offer? Rizk offers very straight forward payment methods, Visa, Mastercard, Neteller and Skrill. The minimum deposit you can make on this website is £10 and the maximum deposit you can make is £5,000 per transactions. It’s important to know that a 2.5% transaction fee applies when using Visa and MasterCard. However, any transactions made via e-wallets are free. What about Rizk withdraw policy. One thing is certain, they are very fast as processing withdrawals, generally, you can expect your request to be processed within 24h. You should know that for your withdraw to be processed smoothly you should request it on the same payment method you’ve used to make your deposit. The minimum amount you can withdraw is £20 and the maximum varies between £5,000 up to £50,000. Don’t worry you can always make multiple transactions should you win big. And if you win a jackpot there’s no doubt that the VIP team will be on hands to help you withdraw your funds. Generally, you can expect the money to land in your account between 1 to 3 business day provided that you have successfully submitted the authentication documentations. They only hire really friendly customer support agents that are known for their game knowledge, generosity and fairness. They are available via live chat and email 24/7 365 days a year. So many players have already signed up and claim their generous welcome offer, why wait?